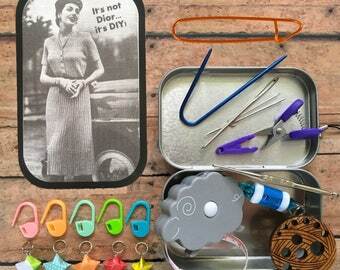 Knitter's Tool Tin - Vintage Yarn Ad - Knit kit tin with knitting and notions for your WIP bag! Knitter's Tool Tin - Calm Down, it's just Knitting: altered altoid tin with knitting and sewing notions! 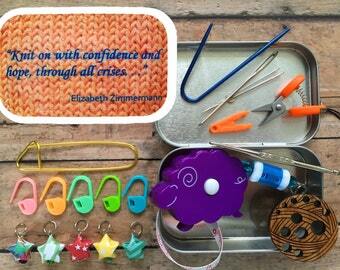 Braided Fiber - The Knitter's Tool Tin: knit kit with knitting and notions for your WIP bag! So Much Yarn, So Few Hiding Places Knitter's Tool Tin - altered altoid tin with knitting and sewing notions! Knitter's Tool Tin - Eat. Sleep. Knit. Repeat. Altered tin with knitting and sewing notions! 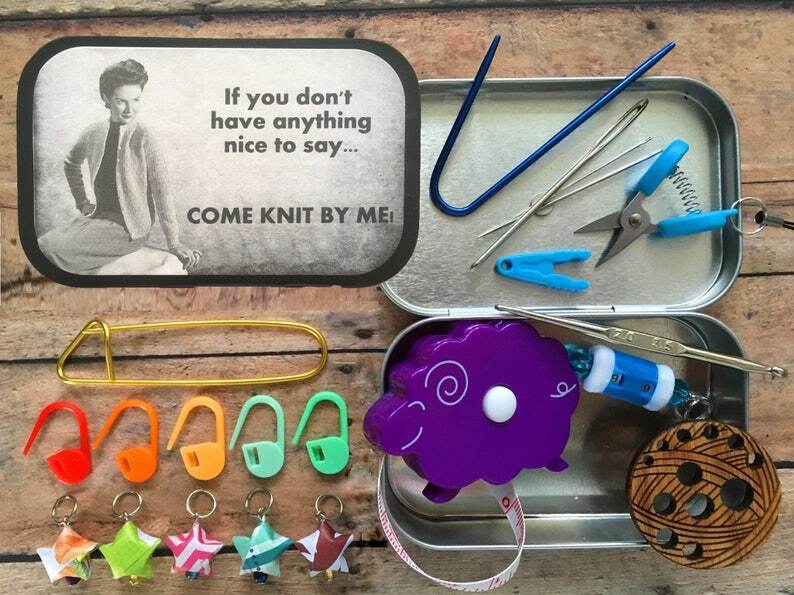 Yarn Beach Vacation: Knitter's Tool Tin, filled with miniature knitting notions!